That's right, who wouldn't want a FREE $5! You spend $5 and you get a $10 Tango Card. 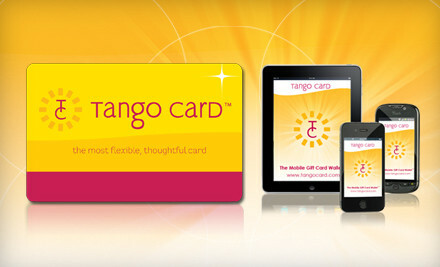 You take that Tango Card, and you can exchange it for a $10 gift card at premier retailers such as Amazon, Gap, Pottery Barn, SpaFinder, Target, Groupon and many more. OR, get this, you can exchange it for cash. There is a limit - 2 per person, and 2 to give as gifts. This offer is available until supply runs out! Want to learn more? Visit Groupon to get all the details!